Philadelphia, 1842: Poe’s cat, Cattarina, becomes embroiled in a killer’s affairs when she finds a clue to the crime – a glass eye. But it’s only when her beloved “Eddy” takes an interest that she decides to hunt down the madman. 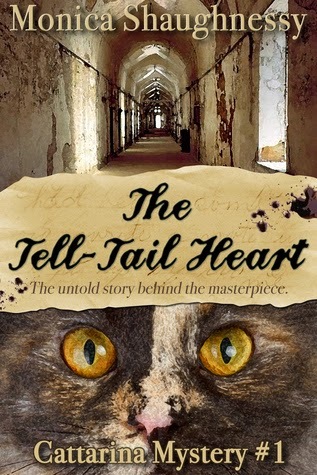 Her dangerous expedition takes her from creepy Eastern State Penitentiary to Rittenhouse Square where she runs into a gang of feral cats intent on stopping her. As the mystery pulls Cattarina deeper into trouble, even Eddy becomes the target of suspicion. Yet she cannot give up the chase. Both her reputation as a huntress and her friend’s happiness are at stake. For if she succeeds in catching the Glass Eye Killer, the missing pieces of Eddy’s unfinished story will fall into place, and the Poe household will once again experience peace. Books were always sacred in my house, and my mother raised me to be a reader. But I didn’t think about writing books until I was in my twenties. I just never thought “someone like me” (i.e., a regular person) could be an author since I held them in such high esteem. Like a lot of people, I started with lousy short stories—windy and shallow. Luckily, I had tactful friends who were too nice to tell me the truth. By the time I wrote my first novel, I was ready to hear what needed fixing. What is your writing day like? Do you have any interesting writing quirks? I write full-time, so I usually start my day answering emails, checking blogs, etc. to “oil my brain.” Then I get to work. Morning time is my best time. I don’t know how people write productively at 11 p.m.! I keep at it until my child comes home from school, taking a short break for lunch and to walk my dogs. After that, I’m lucky if I can type two paragraphs. Quirks? Not so much. But I MUST write in complete silence, and I MUST write from an outline. If I don’t know where I’m going, story-wise, it gets very uncomfortable. Oh, I learned many surprising things! Writing an historical really opens up a rabbit hole, and it’s easy to fall through to the center of the earth. I had no idea that Eastern State Penitentiary enforced a strict code of silence or that parts of Philadelphia had indoor plumbing in the early 1800s via the Fairmount Water Works or that Edgar Allan Poe was in denial about his wife’s tuberculosis. Then there’s all the cat research. Did you know that cats vividly see the color blue? I like the oldies. Agatha Christie, Sir Arthur Conan Doyle, and of course…Edgar Allan Poe! But I do like many contemporary authors, including Stephen King (he’s a modern day genius), Joanne Harris, and Caleb Carr. As you can tell, I lean toward genre writing. If a book has an obtuse plot, I want to throw it across the room. My literary exceptions are Ernest Hemingway and F. Scott Fitzgerald. These men can do no wrong. After I finish the third book in the Cattarina Mysteries series, The Raven of Liberty (due in June), I’m going to complete a collection of short stories and then begin a serialized mystery novel. 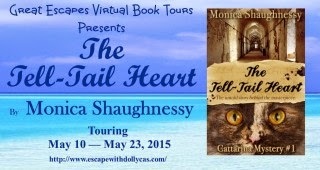 Monica Shaughnessy has a flair for creating characters and plots larger than her home state of Texas. Most notably, she’s the author of the Cattarina Mysteries, a cozy mystery series starring Edgar Allan Poe’s real-life cat companion. 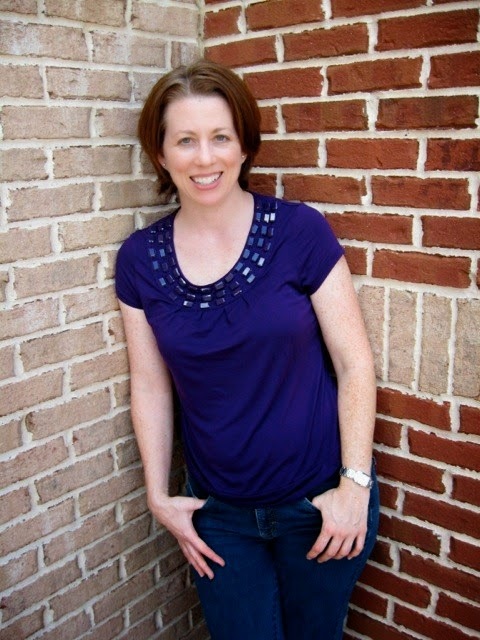 Ms. Shaughnessy has nine books in print, including two young adult novels, a middle grade novel, a picture book, two cozy mystery novellas, and numerous short stories. Customers have praised her work time and again, calling it “unique and creative,” “fresh and original,” and “very well written.” If you’re looking for something outside the mainstream, you’ll find it in her prose. When she’s not slaying adverbs and tightening plots, she’s walking her rescue dogs, goofing around with her family, or going back to the grocery store for the hundredth time because she forgot milk. Win an e-copy of the book. Have been really wanting to read this book. Hoping to win. Thanks for participating in my blog tour!